It FINALLY feels like spring outside, and we all know what that means – allergies. Runny noses, puffy eyes and everything else that this season can bring. Awhile back we discussed supplements that are awesome at boosting your immune system, and today we’re diving into allergies specifically. Between supplements, lifestyle habits and diet tips here’s your cheat sheet for dealing with allergies naturally. Nettle: As a natural antihistamine, this plant’s anti-inflammatory properties help reduce allergy-related symptoms like congestion, itching and sneezing. It can treat the onset of symptoms as well as in advance to desensitize the body to allergens. Quercetin: Abundantly found in foods, Quercetin is one of the best all natural antihistamines. Along with its anti-inflammatory properties, it’s great for treating the swelling and redness that accompany allergies. 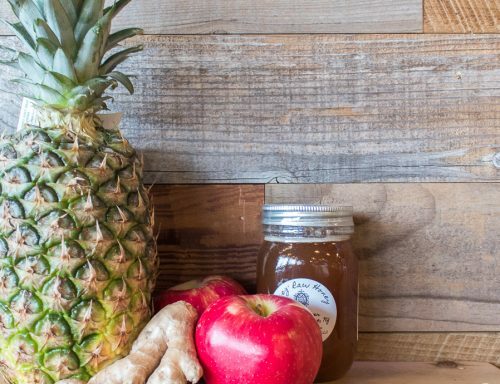 Bromelain: A digestive enzyme found in Pineapple, Bromelain is known for its anti-inflammatory benefits and helps with everything from arthritis to sinus pressure. Studies show this enzyme can improve asthma symptoms plus reduce overall allergy sensitivity by stopping the development of inflammatory responses. Probiotics: With 70% of the immune system in the gut, maintaining its microbiome is important for all immune responses. Probiotics help heal, improve and maintain the health of your gut. This lowers current inflammation and protects from future histamine reactions. Research also shows people with allergies have lower levels of healthy gut flora, which probiotics aid to repopulate. Allergy ReLeaf System: An all-in-one solution, if you’re iffy about loading up your supplement cabinet. 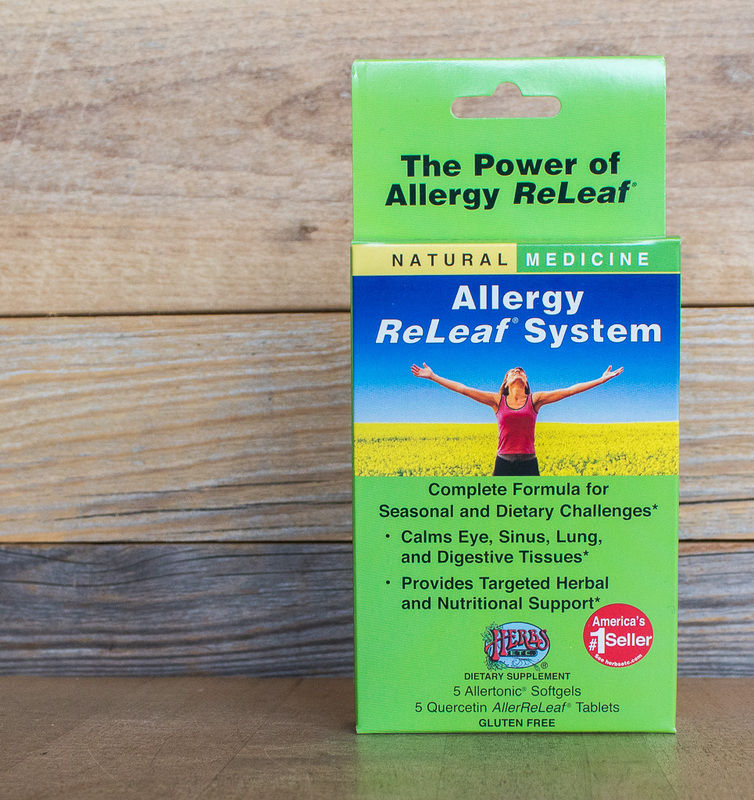 Herb etc’s Allergy ReLeaf System consists of two supplements – one herb blend to support the health of your throat, eyes, sinuses and more. 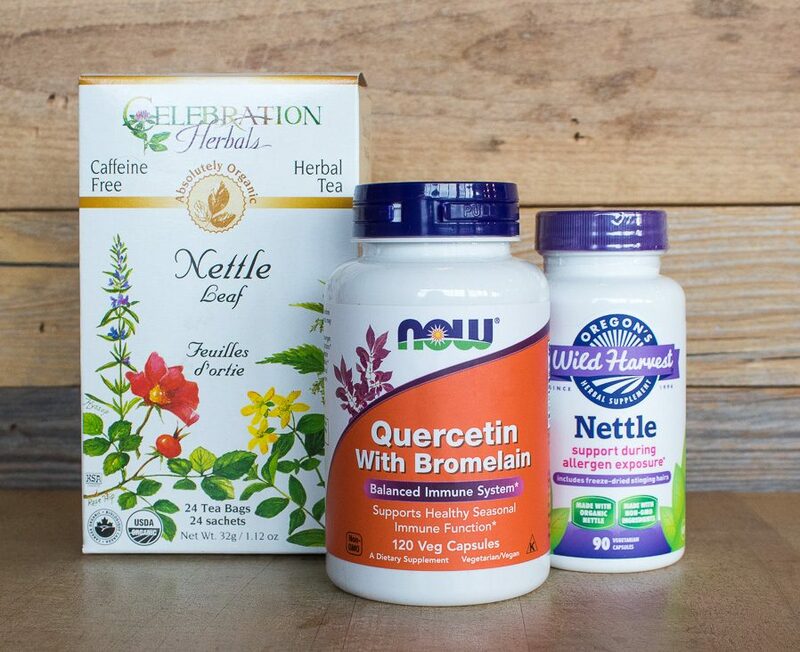 The other Quercetin tablet includes Bromelain, Vitamin C, and turmeric to reduce inflammation. This killer product is on sale all month, just in time to tackle allergy season! Neti Pot and Saline Solution: When in doubt, physically cleaning out congestion is effective. Using a Neti Pot filled with saline solution (water + salt) to do a nasal wash can help clear out sinuses and reduce allergy symptoms. 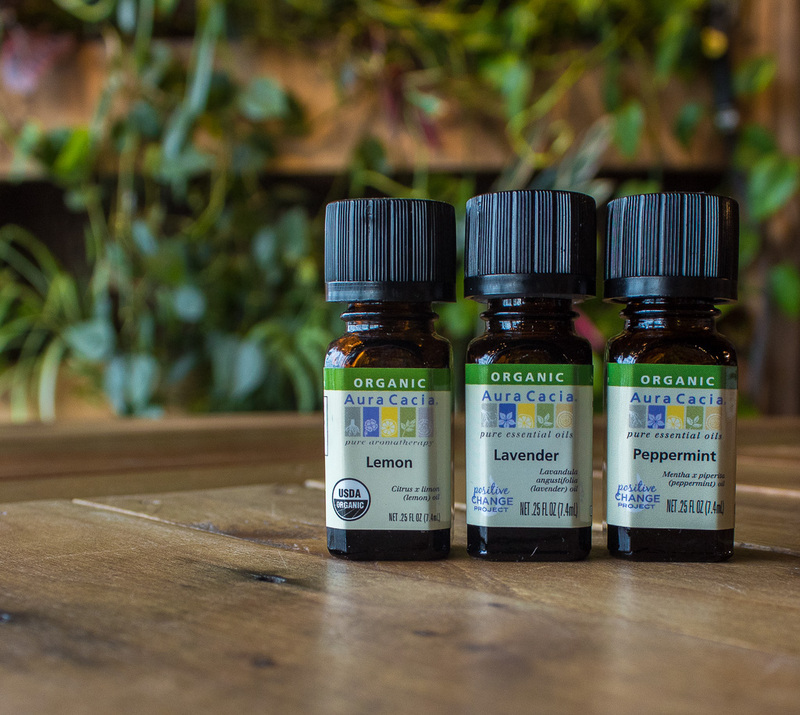 Essential Oils (Peppermint, lavender, lemon): Using these oils together can help calm the senses and reduce allergy symptoms by acting as an antihistamine. Try mixing them into a diffuser, or place a few drops straight under your nose and on your temples. Yoga: Due to many allergy symptoms being inflammation related yoga helps aids in calming the central nervous system to reduce symptoms. Sunlight: Low vitamin D levels are linked to an increase in allergies. The trees and pollen may seem to be the enemy, but soaking in some natural Vitamin D through the sun can boost immunity and reduce allergy symptoms. Eating foods high in Quercetin such as apples, spinach and berries, or Pineapple for Bromelain can help you achieve extra antihistamine benefits. Including plenty of Vitamin C-rich foods, like citrus and rep peppers, can boost the immune system, too. Local honey and bee pollen prove to aid in desensitizing the body to seasonal allergies. Including these gradually prior to experiencing intense allergic reactions can be very beneficial. Other inflammation fighters, such as turmeric and ginger, can help with allergy symptoms as well and are extra helpful this time of year!